George F. Keenan, who was born in 1904 and died in 2005, and served under presidents from Calvin Coolidge to John F. Kennedy, left as deep an imprint on American geopolitics as any intellectual of the twentieth century. But the exact nature of his achievement continues to elude full or even coherent description. One reason is that most of his very long life was spent in comparative obscurity. For twenty years he was a Foreign Service officer in various European embassies, a senior diplomat in Moscow in the 1930s and 1940s, the years when the Soviet Union grew into a world power. With his mastery of the Russian language and profound understanding of the country’s history and culture, Kennan analyzed the character of the Soviet regime with matchless acuity. But for most of this time he was a factotum, an administrative aide carrying out policies he had no part in creating. 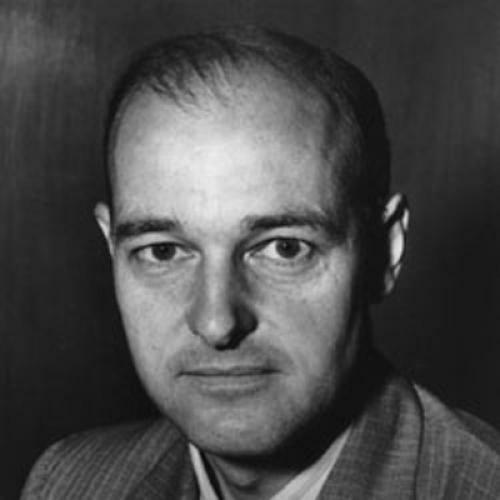 Once the Cold War began, Kennan was suddenly thrust into prominence as the originator of the policy of containment, the strategy of opposing the Soviet Union adopted with various adjustments by seven consecutive presidents, from Truman to Reagan (typically, Kennan approved of neither), climaxing in the Soviet implosion that Kennan had predicted, remarkably, in 1947. Pushed out of the State Department in 1953, Kennan spent the next half century at the Institute for Advanced Study in Princeton, where he refashioned himself into an emeritus “wise man,” a prolific writer and superb lecturer, a curious amalgam of sage and aging enfant terrible best known as a dovish critic of the Cold War policies that he had himself brought into being. Though a man of undeniable stature, Kennan was nonetheless thwarted and also, in a sense, misshapen. The contours of his experience had more sweep than those of a conventional man of letters, but the canvas he acted on was too small to suit the world-conquering stride of a great public figure. Kennan judged his own gifts to be essentially poetic and even vatic. In his last years he declared himself a “prophet,” a word that actual prophets seldom apply to themselves. This immodesty inflected his well-earned reputation for neurotic self-absorption and for storing up personal grievances and slights. John Lewis Gaddis argues that his subject’s true office was writer and “teacher.” If this is the case, the surprise is not that Kennan is not better known, as some have lamented, but that he continues to command as much interest as he still seems to do. It helps that he has been the subject of so much good writing, beginning with his own memoirs, two volumes covering the years from 1925 to 1963. The first, which includes vivid entries from the diaries Kennan kept during his prewar and wartime experiences as a diplomatic officer in Berlin, Prague, Lisbon, Moscow, Washington, and other capitals, is especially fine. So isSketches From a Life, a third memoir assembled from the beautifully observed travel notes he wrote at home and abroad. Kennan’s story and character have also been treated at length in books by Walter Isaacson and Evan Thomas, Barton Gellman, Wilson D. Miscamble, John Lukacs, and Nicholas Thompson. Gaddis’s important biography owes much to these previous works, but it stands impressively apart in its comprehensiveness and its careful judgments. It also has the advantage of seeming to come directly from the age it describes, in part because so many of the people Gaddis interviewed since he began the project in 1981 have themselves passed into history: George Ball, Isaiah Berlin, Charles Bohlen, McGeorge Bundy, Sir Oliver Franks, W. Averell Harriman, Loy Henderson, Arthur S. Link, Paul Nitze, Arthur M. Schlesinger Jr. Their reminiscences add texture to Gaddis’s patient reconstructions of episodes that have not so much faded from present-day discussions as been distorted by them, often to the point of caricature, whether by those on the left who view the Cold War as a dark phase of reckless military aggressions fed by binges of hysterical jingoism at home, or by those on the right who overlook the exorbitant cost of hot wars in Korea and Vietnam and see only a righteous march to liberty capped by Ronald Reagan’s plea to Mikhail Gorbachev to tear down the Berlin Wall. Both narratives evade the complications that Kennan diligently insisted on, as he weighed the consequences of moves and counter-moves. Kennan eludes clear understanding for a second reason: his ceaseless volubility. He said and wrote a great deal, and his arguments—when they were arguments, and not exhortations and jeremiads-often pushed in contradictory directions. One is hard-pressed to think of another public figure so consistently driven not merely to revise himself but also to repudiate himself, agonizingly at times, with the result that his words can be summoned today in defense, or in rebuttal, of almost any foreign policy position, while Kennan can be cast in almost any light. He has become his admirers, and also his detractors. There is Kennan the hawk, who floated the idea of outlawing the Communist Party in Italy, risking civil war there, when the party appeared likely to win national elections in 1948, and who cautioned, in 1954 in Realities of American Foreign Policy, that “weapons of mass destruction have to be borne in mind as one of the great and scary realities of our day” and that one day we “might or might not find it prudent to use” them. There is Kennan the dove, who in Senate testimony urged an American withdrawal from Vietnam. There is Kennan the patriot, who, in 1956, in Russia Leaves the War, the first volume of his monumental but uncompleted study of early Soviet-American relations, praised “the flesh-and-blood America, with all those subtle peculiarities of spirit and custom that have done so much more than political or economic institutions to determine the values of its civilization.” And there is Kennan the patrician, who in 1935 declared, “I hate democracy; I hate the press.... I hate the ‘peepul’; I have become clearly un-American,” and once drafted a proposal for an authoritarian state. THAT THIS UNUSUAL man endures as the principal strategist, or more precisely the leading philosopher, of America’s victory in the Cold War was owed to fortunate timing, and also to Kennan’s belief in his lineal destiny. He grew up far from the centers of power, in Milwaukee, an anxious, guilt-ridden boy haunted by the absence of his mother, who died shortly after he was born, though not killed by his birth, as he was mordantly convinced. He was coddled by three elder sisters and by a cousin who, in the old manner, came to live with the family and helped rear the children, while their father, a prominent tax attorney, stoic, strait-laced, a devout Presbyterian, withdrew into remoteness and remained there even after he remarried. George Kennan would for much of his life seek the approval of his elders, even as he reacted strongly to slights and criticisms, and in his last years he cultivated the adulation of younger men. Those sentences furnished the high elegiac tone in This Side of Paradise, Fitzgerald’s romantic novel of Princeton life, which prompted Kennan to enroll there. Indifferently educated at a Wisconsin military academy, he had to take the admissions exam twice. At Princeton he was socially maladroit and a proficient if unexceptional student, but his gifts were lavish. He read widely, had a naturally graceful prose style, and easily mastered languages. He remained fluent in German, knew Latin and French, and later had no difficulty reading Czech, when he was briefly attached to the legation in Prague in 1938 at the time of the Anschluss. He also had a quick musical ear, teaching himself the piano, the cornet, the guitar, the banjo, and the French horn—playing them well enough to earn spending money in dance bands. A CAREER IN DIPLOMACY made sense, especially after a stimulating summer bumming through Europe. There was also the example of a distant relative, the “first” George Kennan, his grandfather’s cousin, famous for touring Siberia in the late nineteenth century and then writing and lecturing on conditions under the czars—doing “more than anyone else to shape the image of Siberia ... as a prison of peoples,” Gaddis notes. When the Russo-Japanese War broke out, the “first” George Kennan was made a top adviser to President Theodore Roosevelt. The younger Kennan idolized his namesake, whom he met just once, and when the Foreign Service offered a new program of intensive study for “language assignments,” Kennan chose Russian. His connection to the language was immediate and broadened into an impassioned feel for the whole immensity of the country—its landscape, its dramatic cycle of seasons, its history, culture, and literature. His one unfulfilled literary project was a biography of Chekhov. He also became expert on the balalaika. Many other Americans shared this assessment, including members of the Communist Party, some of whom were making pilgrimages to the Soviet “homeland,” first landing in Riga and then illegally slipping across the border. Kennan, watching the traffic, compiled the names of eighty-five “individuals residing in Soviet Russia, reputed to be American citizens but [also] Communist sympathizers.” Gaddis does not mention Kennan’s list-making, but it was reported in 1997 by the journalist Alan Cullison, who found Kennan’s notes in the national archives. Kennan had reason to keep track of these Americans: should any of them happen to get in trouble in Russia, they “might no longer be entitled to protection without special approval by the [State] Department.” That is precisely what happened once the purges began. But the cheer soon palled, as Stalin tightened his grip. A turning point was the assassination of the Leningrad party chieftain Sergei Kirov, followed by mass arrests, incarcerations, and executions, “one of the major catastrophes of Russian history,” as Kennan wrote, “the revenge of the Revolution upon itself.” With this violence, “the honeymoon of Soviet-American relations, such as it was, came definitely to an end.” Gaddis adds: “Embassy life went on, but under the scrutiny of a staff riddled with spies.” The atmosphere was war-like, with Kennan and his colleagues treated like “enemy negotiators in a hostile camp.” Kennan, still the Russophile, fled when he could to the countryside, stalking the ghost of Chekhov and also touring medieval churches. Both the sentiment—at once self-pitying and self-aggrandizing—and the language echo The Education of Henry Adams. Its author, too, was a disillusioned diplomat convinced that his stupendous learning, with its emphasis on historical study, would not cure his feeling of displacement. And just as Adams harbored prejudices, more abstract than concrete, that did not finally constrict his humane vision, so Kennan—though he absorbed his Protestant generation’s reflexive anti-Semitism—was appalled to see Jews cowering on the Berlin subway, yellow stars sewed on their overcoats, “a fantastically barbaric thing.” Later he helped to secure the escape of Jews caught up in Nazi terror. He was unable to accomplish as much in Moscow, where he was stationed during the brutal farce of the show trials, with their forced confessions and summary executions. The new ambassador, Joseph E. Davies, though a trained lawyer, did not question the guilt of the accused and reiterated this impression in a best-selling book, Mission to Moscow (later made into a Hollywood film), which genially reported on Stalin’s benign intentions. Meanwhile, Soviet officials who had been incautiously friendly with the American Embassy staff had vanished, consigned to “exile, imprisonment, or disgrace, if not execution,” as Kennan accurately supposed. There were other victims, too: the hapless American Communists who had passed through Riga and reached Moscow, only to be ensnared in the purges. According to Alan Cullison, some made their way to the American Embassy, pleading for help, but were turned away and, in some instances, seized by the secret police as soon as they left the building. The penetration of the American governmental services by members or agents (conscious or otherwise) of the American Communist Party in the late 1930s was not a figment of the imagination of the hysterical right-wingers of a later decade.... Those of us who served in just those years in the American Embassy at Moscow or in the Russian Division of the Department of State [where Kennan briefly worked] were very much aware of this situation—aware of it at an earlier date and much more keenly than were most of our fellow citizens. It was more readily visible to us, through the circumstances of our work, than it was to others. Our efforts to promote American interests vis-à-vis the Soviet government came into conflict at many points with the influences to which this penetration led; and our own situations were sometimes affected by it. Kennan further suspected that “the sudden abolition of the old Russian Division of the Department of State, in 1937, was the result, if not of direct Communist penetration, then at least of an unhealthy degree of Communist influence in higher counsels of the Roosevelt administration.” Gaddis notes that a confidential memo Kennan sent from Moscow, and “not meant for circulation beyond the State Department, questioning Davies’s optimism about the future of Soviet-American relations,” somehow found its way to the Soviet ambassador in Washington, a patent breach of security. WORLD WAR II seemed to change everything. Once the Soviet Union joined the Grand Alliance in 1941, anti-communism became more unwelcome, especially given the heroic sacrifices of the Russian army. But victory brought fresh anxieties. The Nazis had been defeated, but at an almost immeasurable cost: tens of millions dead, cities in ruins, whole populations pushed to the brink of starvation. The prospects of a lasting peace hinged on Stalin, but he, too, had expansionist ambitions—first evident in the notorious pact he signed with Hitler in 1939, which cleared the way for Soviet incursions into the Baltic states and Finland. Peace summits in Yalta and Potsdam in 1945 further darkened the mood. All the while, Moscow-controlled operations, both public and underground, were guiding Communist parties in France and Italy, and backing insurgencies in Greece and Turkey. Within the American government—the State Department and its foreign embassies—it was Kennan, and almost he alone, who grasped what was happening, that the near-apocalypse of World War II had yielded not a pastoral aftermath of peace and global harmony, but a new conflict with the great powers whittled down to two, the United States and the Soviet Union. And the Soviets were operating on a new model: in the nineteenth and early twentieth centuries, great powers such as England and France had pursued aggressive and colonizing policies, often ruthlessly, but Soviet designs, because premised on the dogma of revolution, were meant to destabilize the existing world order. Soviet purposes must always be solemnly clothed in trappings of Marxism ... and no one should underrate [the] importance of dogma in Soviet affairs.... In an atmosphere of Oriental secretiveness and conspiracy which pervades this government, possibilities for distorting or poisoning sources and currents of information are infinite. The very disrespect of Russians for objective truth—indeed, their disbelief in its existence—leads them to view all stated facts as instruments for furtherance of one ulterior purpose or another. There is good reason to suspect that this government is actually a conspiracy within a conspiracy. . . . Wherever it is considered timely and promising, efforts will be made to advance official limits of Soviet power. For the moment, these efforts are restricted to certain neighboring points conceived of here as being of immediate strategic necessity, such as northern Iran, Turkey.... Russians will participate officially in international organizations where they see opportunity of extending Soviet power or of inhibiting or diluting power of others. Moscow sees in UNO [the United Nations] not the mechanism for a permanent and stable world society founded on mutual interest and aims of all nations, but an arena in which aims just mentioned can be favorably pursued. “Here was a case where nothing but the whole truth would do,” Kennan later recalled. “They had asked for it. Now, by God, they would have it.” “They” were the Truman administration, alarmed by a public address Stalin had given two weeks earlier in which he ordered up a massive rearmament to prepare for the coming war between the communist and capitalist nations. A week later came the news, from Canada, that a Soviet atomic spy ring had been exposed. The American ambassador to Russia at the time, W. Averell Harriman, a champion of Kennan, instructed him to give an unvarnished report. The Long Telegram, in its five thousand words, was a tour de force, not only of argument but also of prose, thanks to Kennan’s twinning of telegramese with the vivid phrasing he had honed during long years of diary-writing. It elevated him from obscurity to celebrity, at least within the high councils of the Western democracies. How, for example, under the Constitution of the United States is Mr. X going to work out an arrangement by which the Department of State has the money and the military power always available in sufficient amounts to apply “counter force” at constantly shifting points all over the world? Is he going to ask Congress for a blank check on the Treasury and for a blank authorization to use the armed forces? Not if the American constitutional system is to be maintained. Or is he going to ask for an appropriation and for authority each time the Russians “show signs of encroaching upon the interests of a peaceful and stable world”? If that is his plan for dealing with the maneuvers of a dictatorship, he is going to arrive at the points of encroachment with too little and he is going to arrive too late. The Russians, if they intend to encroach, will have encroached while Congress is getting ready to hold hearings. This accurately foretold future troubles. There would indeed be struggles over appropriations during the Cold War—one reason the “presidential prerogative” stealthily acquired an aspect of intra-governmental insurgency, often practiced in violation of constitutional law. In the decades to come, lasting up to the present, wars would be waged from the White House and sometimes carried out by the CIA, with its unlimited budget and unregulated covert actions—in Latin America, in Southeast Asia, in Iran. Overstretch in Vietnam would lead to the War Powers Resolution in 1973, intended to reassert Congress’s authority over decisions of war and peace. Yet history vindicated Kennan. He was not so logical a strategic thinker as Lippmann. But he was by far the better psychologist. And he was right: ideology really did matter, because what was at stake in the superpower struggle was not simply each nation’s might but, more profoundly, each nation’s political and social vision. KENNAN’S INFLUENCE PEAKED when he was appointed the first director of the State Department’s policy planning staff, a new internal think tank created in 1947 to develop long-term global strategies. The next few years were as tense as any in modern history—its anxieties heightened by the “fall” of China, the development of the hydrogen bomb, and the approaching specter of a third, possibly “total” world war likely to be settled with nuclear arsenals. Gaddis, perhaps this era’s best diplomatic historian, sifts through the issues and reminds us how complex and fraught they were. Europe was divided, with the fissure running through Berlin, initially occupied by four different powers and then split in two. The Mediterranean was a congeries of “pressure points,” the Suez Canal making it a potential “highway” to the East, and its defense thus critical to Europe and Asia. Kennan had some triumphs. One came in Japan, the linchpin of the emerging Asia strategy. Occupied Japan was ruled by the imperious Douglas MacArthur, an all but autonomous shogun. Kennan, sent to meet with him, cleverly played to his vanity, and on his return drafted a program that shut MacArthur down. Kennan also was an author of the massive European aid program that became the Marshall Plan, ingeniously arguing that assistance should be extended to the Soviets but on terms Stalin would reject, which he did, thereby assuring congressional approval, even as the United States gained moral leverage. Kennan hoped the Marshall Plan would supplant the Truman Doctrine, economic largesse trumping troop deployment, but it did not happen. And with the advent of NATO, which he staunchly opposed, a new phrase, the “containment circle,” with its suggestion of armed fortification, entered the foreign policy idiom. The excellent adjutant was an unexpectedly clumsy diplomat. And Kennan knew it. “I was probably too highly strung emotionally, too imaginative, too sensitive, and too impressed with the importance of my own opinions, to sit quietly on that particular seat,” he acknowledged of his worst humiliation, his abruptly canceled tour as ambassador to Russia in 1952, doomed in its fifth month after Kennan, on the runway of the Tempelhof Airport in Berlin, blurted to a Times reporter that in Moscow he felt more isolated than when he had been interned in a Nazi camp along with other staff during his time in the Berlin legation. The comparison was not unjust, but no sensible diplomat would have dreamed of making it, certainly not on German soil and with the Battle of Stalingrad still fresh in Russian minds. His government career was doomed anyway, after the Republican victory in 1952. The Cold War had become heatedly partisan, thanks to congressional investigations of communists, and ugly accusations and recriminations over China and Korea. Longtime colleagues, such as the “China hands” John Paton Davies and John Stewart Service, were harried out of government. Kennan, in a burst of prescience, had guessed that something like this would happen. In 1945, during his period as a “fiery hardliner,” he foresaw the day “when I will be accused of being pro-Soviet, with exactly as much vehemence as I am now accused of being anti-Soviet.” In fact he was spared the worst—possibly because he had cultivated another powerful elder, J. Edgar Hoover, “furnishing pertinent and helpful information,” as Hoover was reminded by one of his assistants during the peak of the Red hunts. It was typical of Kennan to spar publicly with the new boss of the State Department. Typical, too, was his sense of injury when Dulles sidelined him. But he was vindicated again, quickly this time. The new president, Dwight Eisenhower, who had known Kennan for some years, secretly appointed him to an advisory team of strategic analysts, in effect giving him a forum for exposing the gaping holes in the rollback doctrine, thus freeing Eisenhower to revive containment, the policy he actually preferred. But there would be no subsequent victories on this scale. The Cold War had reached a new stage, a high-stakes chess game, with nuclear arms as the pieces. Kennan’s subtle interpretations, rooted in history and literature—enriched by references to Gibbon and Tolstoy—looked outmoded when measured against the calculations of Herman Kahn and Albert Wohlstetter, systems analysts and game theorists. The talk was now of “limited nuclear war,” of calculations of sustainable losses should the two superpowers target one another’s population centers. Also, “thanks largely to Acheson, Kennan had become persona non grata with much of the American—and Western European—foreign policy establishment,” Gaddis writes. But the next president, John F. Kennedy, admired him, and Kennan liked him in turn—at last a younger man in the presidency, who showed him the deference he craved. He served briefly as ambassador to Yugoslavia, but he also bungled this assignment, badly misconstruing the intentions of Tito and sending confused analyses to the National Security Council. By this time it was clear that Kennan was miscast among the “action intellectuals” of the Kennedy administration, so many of them academic experts. He seemed lost “in the empyrean, a mystic and a visionary,” as his friend Isaiah Berlin put it. The truth is he had dwelled from the outset in another realm from the presidents and statesmen who sometimes sought his counsel, but in the end did not quite trust him with policy-making power, or admit him to the inner circles where the starkest calculations are made. When he was elected president of the American Academy of Arts and Letters in 1967, the honor delighted him, because the “first” George Kennan had once been a member. Yet this ascension reified the suspicion that his destiny had been all along not to shape historical events but to record them. At the time Kennan was sixty-three, with another thirty-eight years ahead of him—years in which he grew ever more alienated from the Washington mandarinate even as he crankily continued his cold war on American culture, inveighing against “the automobile,” “the advertiser,” and “the junk mail,” among other evils. Though known to a new generation not as the originator of Cold War policy but as its principal critic, he nonetheless remained apart. Even as he supported the anti-Vietnam campaign of Eugene McCarthy in 1968, he excoriated the “anti-war left,” its lack of a concrete program, its hints of nihilism, its “complete rejection of, or indifference to, the political system of this country,” its legion of protesters who seemed to have discovered “no adequate means of self-expression other than the primitive one of calling attention to themselves and their emotions by mass demonstrations and mass defiance of established authority.” There was no contradiction in this. One might reasonably support McCarthy and also abhor campus protesters. But to refuse in a time of high passion to make any accommodations to those passions was to occupy a willfully lonely position and to seem to want things every which way—to arrange one’s own alienation. This had always been Kennan’s problem, and he knew it. “I have the habit of seeing two opposing sides of a question, both of them wrong, and then overstating myself, so that I appear to be inconsistent,” he once remarked. This also explains why Kennan was temperamentally unfit to do the work of a giant such as Acheson. For Acheson, the executed policy, however trimmed to fit the exigencies of politics and interagency wrangles, was all that mattered. For Kennan, any settled strategy was inherently unsatisfactory, because it sealed off some other potentially better course. He was happiest exploring ideas, preferably dialectical ideas, each a pivot swinging its opposite into view. Yet Kennan’s unrelenting “solipsism,” in Gaddis’s term, strangely enlarged him, by placing him and his ideas at the vortex of debate. He is today so identified with the facts as well as the myths of the Cold War that controversies once so central to “the fate of the free world,” in the discarded phrase, now eddy around George Kennan himself. Yet Kennan still matters, and not just historically. To read Gaddis’s book is to be reminded that twenty years after the terminus of the Cold War we are still living with the global puzzle that Kennan tried to solve. The same network of alliances and dependencies is again being tested as nations reprise the roles assigned to them in the first decade of the Cold War: Italy and Greece struggling under the weight of collapsed governments, Germany holding the key to Europe’s stability, the kingdoms and caliphates of the Middle East seething with upheaval and revolt. Even that most timeworn Cold-War dichotomy, East versus West, continues to inflect our wobbly world order: Russia with its geographical reach and resurgent autocracy, China with its economic might and reawakened “great power” ambitions. For all the current talk about millennial transformation, the twentieth century is not quite over. Kennan’s life is a testament to the part that an intellectual once could play in giving shape to events at critical junctures in American history. He was ill-suited for political action, but his fertile mind often reflected brilliantly on the complexities and the contradictions that face historical actors, and glimpsed possible exits from the narrow channels of conventional thinking. He insisted eloquently, and by example, that ideas decisively matter, and that the present is best understood through its relation to the past. This is the humanist’s knowledge, and it is glaringly absent from the politics of our debased moment. Sam Tanenhaus, the editor of The New York Times Book Review, is writing a biography of William F. Buckley Jr. This article appeared in the December 29, 2011, issue of the magazine.